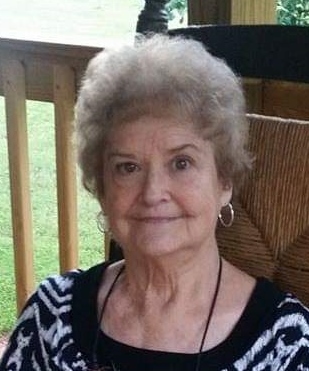 Ella “Joan” Fulmer Clingan, 74, of Florence, passed away November 26, 2018 at E.C.M. Hospital after an extended illness. She was a member of Cloverdale Church of Christ, and an avid Alabama fan. She was a loving mother, sister, aunt, and friend. She will be missed by all. Visitation will be Wednesday, November 28, 2018 from 5-9 p.m. at Greenview Funeral Home. The funeral service will be Thursday, November 29, 2018 at 3 p.m. at Cloverdale Church of Christ with Jack Flowers, Dennis Hudgins, and David Highland officiating. The body will be placed in the church at 1 p.m. Burial will follow in the adjoining cemetery. She was preceded in death by her husband, Ray Clingan; parents, S. J. and Volion Fulmer; an infant twin sister, Jean Fulmer; and a special niece, Jennifer Clemons Creasy. She is survived by her son, Christopher Ray Clingan; daughter, Angela Joan Clingan West (Jacky); brother, Robert Fulmer (Charlotte); and sisters, Joyce Fulmer Morris (Sammy), Judy Fulmer Clemons (Terry), and Janet Fulmer Gean (Dale –deceased); and several sisters and brothers-in-law. Pallbearers will be Lucas O’Bryant, Terry Clemons, Bradley Young, Charles Condrey, Wesley Creasy, John Fulmer, Michael Gean, and Jamie Highland. Nephews and friends will serve as honorary pallbearers.